This is a revival of an essay I wrote ten years ago, originally entitled 11 Types of Fatigue. I’ve been asked by the Sjögren’s Foundation to give it new life. I thank them for the opportunity and hope that in the ten years that have passed since the original essay, there is increased acknowledgment of fatigue as a major factor in Sjögren’s. I’ve decided to add two new types of fatigue to the list, which is by no means meant to be exhaustive. A quick update: The friend mentioned below was my first friend with Sjögren’s and as such, has always been very special to me. We still speak in a kind of shorthand, as I do with most if not all of my Sjögren’s friends. The friends I have made over the years are the only good outcome of this disease. As a group, we understand what it means to say that we are ‘fine’. We know that when we say we are “tired”, it means really tired, i.e. that something is going on, something out of the ordinary, beyond the everyday feelings of fatigue. ‘How are you?’ is not a question in our culture. It is a greeting. As such, it deserves a real answer only in those circumstances where there is an understanding that the person asking truly wants to know. "How are you?" I asked a friend who has Sjögren’s. "Tired," she said, "how are you?" "Tired," I replied, knowing we understood each other. We were talking about a special brand of fatigue. Later that day, a friend who did not have Sjögren’s asked me the same question. "How are you?" she said. "Fine" I responded, thinking it was the simpler way to answer a basically rhetorical question. 1. This is the inherent fatigue that I attribute to the inflammatory, autoimmune nature of Sjögren’s. It's with me all the time. It differs from normal fatigue in that you don't have to do anything to deserve it. It can vary from day to day but is always there. For me, there appears to be a correlation between this kind of fatigue and sed rate (ESR). When one goes up, so does the other. I don’t know how often this phenomenon occurs. I could also call this my baseline fatigue, which fluctuates and gets better or worse. All of the following are superimposed on this basic fatigue. 2. If I push myself too far and ignore the cues my body is sending me to stop and rest, my body will fight back. When I do more than I should, the result is an immobilizing fatigue. It comes on after the fact, i.e., do too much one day and feel it the next. If I push myself today, I very likely will have to cancel everything tomorrow. An extended period of doing more than I should will almost certainly cause a flare. 3. This 'crumple and fold' phenomenon makes me resemble a piece of laundry. It comes on suddenly, and I have to stop whatever I'm doing and just sit down (as soon as I can). It can happen anywhere, at any time. It is the kind of fatigue that makes me shut off the computer in mid-sentence. It is visible to those who are observant and know what to look for, even though I make gargantuan efforts to disguise the fact that it is happening. 4. Not everyone has this particular talent, but I can tell that the barometric pressure is dropping while the sky remains blue and cloudless. I feel a sweeping wave, a malaise, that sometimes lifts just after the rain or snow has started. Likewise, I know when a weather front is moving away, even while torrents of water are falling from the sky. I feel a lightening in my body and begin to have more energy. 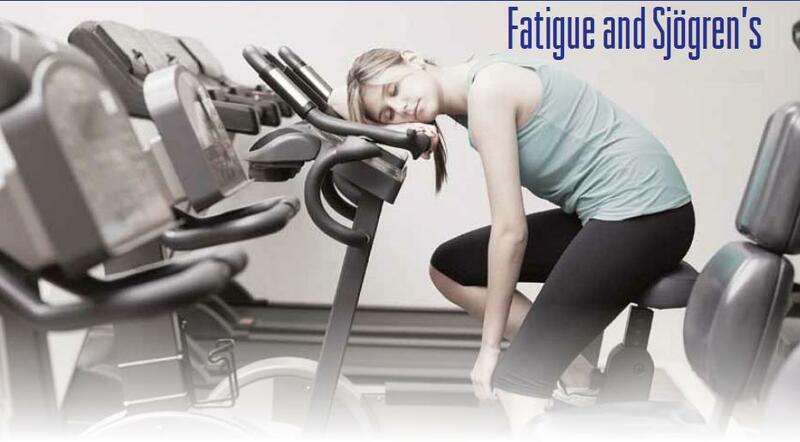 This kind of fatigue is accompanied by an increase in muscle aches and joint pain. 5. This fatigue is present when I open my eyes in the morning and know that it is going to be a particularly bad day. It feels as if someone has poured molten lead in my head and on all my limbs while I slept. My muscles and joints hurt, and doing anything is like walking with heavy weights. It is often associated with increased symptoms of fibromyalgia and sometimes helped by heat and massage. 6.Tired-wired is a feeling that comes from certain medications, such as prednisone, too much caffeine, or too much excitement or perhaps it is just a function of Sjögren’s. My body is tired but my mind wants to keep going and won’t let my body rest. 7. Flare-related fatigue is an unpredictable state of increased fatigue that can last for days or weeks. It may be caused by an increase in disease activity or an undetected infection. If the latter, it either resolves on its own, or eventually presents other signs and symptoms that can be diagnosed. Additional rest is essential to deal with this kind of fatigue, but rest alone will not necessarily improve it or make it go away. Once a flare begins, it is impossible to predict where it will go or how long it will last. 8. Fatigue related to other physical causes, such as thyroid problems or anemia superimposed on Sjögren’s. This kind of fatigue makes you feel that you are climbing a steep hill when you are really walking on level ground. It resolves once the underlying organic condition is diagnosed and treated. Thyroid problems and anemia are both common among Sjögren’s patients, but many other kinds of fatigue may be superimposed. 9. Fatigue that impairs concentration precludes thought, makes me too tired to talk, think or read. Fatigue robs me of memory and encloses me in a fog of cotton wool so thick I can't find my way out until the fog miraculously lifts. For me, brain fog goes hand-in-hand with other kinds of pernicious fatigue. 10. Stress, distress, anxiety or depression all can create a leaden kind of emotional fatigue that can be as exhausting as one due to physical causes. Although some people do not associate their increased fatigue with emotional states, many are aware of the effects of increased anxiety and depression, even if they cannot control what they feel. Intense emotion is very draining. Stress, anxiety and depression all are known to disrupt sleep. 11. Some people with Sjögren’s have trouble both getting to sleep and staying asleep. Some wake up in the morning feeling as if they had never slept at all. Many aspects of Sjögren’s affect sleep: being too dry, in too much pain or malaise; multiple trips to the bathroom, the need for water or to put in eye ointment all deter a good sleep. Lack of restorative sleep increases fatigue. 12. I’m old enough for Medicare now and my friends are more tired too, although they seem to be able to do two or three or even four times what I can do on any given day. In fact, the gap between what they can do and what I can do just seems to be growing, despite my best efforts. It’s been a long time since I tried to keep up, but it still hurts that I can’t. 13. Fatigue that comes from a chronic illness that just won’t quit. We’ve all heard the expression “sick and tired of being sick and tired” and that phrase truly captures what many of us feel. I would take it one step further. There’s a fatigue that comes with the uncertainty of a chronic disease. It’s a debilitating fatigue born of never knowing what will come next. The chronicity of Sjögren’s can wear me down and I have to make special attempts not to let it. When these attempts don’t work, I wait a while and try to find something else that distracts me from my illness. It's difficult to explain the unnatural quality and intensity of this fatigue to someone whose only experience has been with what is normal. We're not talking about the same stuff. It’s apples and artichokes. Sjögren’s fatigue is pervasive. It assaults everything I do. There isn’t a part of my life that hasn’t been touched by it. It is there even on my happiest days. Because people don’t understand, it’s often misinterpreted. "Is it depression?" a health care professional who didn't know much about Sjögren’s asked me. I tensed. Was he saying it was all in my head? I began to get angry but then gave him the benefit of the doubt. I put my first reaction aside and decided he was trying to understand. I was relating something outside his frame of reference, and he was attempting to find a point with which he could identify. When you describe Sjögren’s fatigue to someone who has never experienced it, you are asking him or her to think outside the box. You want them to understand an experience that is common to those who have Sjögren’s and many other autoimmune diseases but rare otherwise. Perhaps their first reaction will be negation or denial. While it’s always difficult to encounter expressions of disbelief, it is not uncommon. I tried to see it as an opportunity to educate. "No," I said to the doctor who asked about depression, "think of it as a never-ending flu that varies in intensity but never goes away." He grimaced. This article was first published in the November/December Issue of The Moisture Seekers. Suggested reading:The Sjögren’s Syndrome Survival Guide, by Terri Rumpf, PhD, author of 13 Types of Fatigue article, and Katherine Moreland Hammitt, SSF Vice President of Research, this SSF best seller is often referred to as a “support group in a book." Weather can affect everyone differently, and some people prefer colder temperatures. Although when living with certain chronic illnesses, like Sjögren's, winter weather can have a negative effect on a person's symptoms, such as joint stiffness or dry skin, and also on a person's mood. Learning to live with Sjögren's is learning what your body's new normal is- this includes taking care of both your physical and emotional symptoms. Recently the Foundation has received a lot of questions about this topic and since some of the best tips the Foundation knows have come from patients, we want to hear from you! What cold weather problems do you find the most difficult when managing your Sjögren's and how do you deal with them effectively? When the winter blues hit, how do you manage to say positive when also coping with Sjögren's? What advice would you give to a fellow patient dealing with the depression? Just as one tip may work well for one patient but not another, you will need to discover what tips and coping strategies work best for your body. That is why tips and suggestions of all kinds are welcome and encouraged as a way to help fellow Sjögren’s patients. Please comment below and share with us what you would suggest. Know your limits and pace yourself. Plan to do no more than one activity on your bad days. Try to do more on your good days, but don’t overdo it! Turn your friends and family into a support system by educating them about what you are going through and how Sjögren’s fatigue can come and go. Then, ask them to be prepared to do one or two chores for you on your fatigue days. Give them specific instructions in advance and be reasonable with your expectations. Get your body moving every day! This may help not only your fatigue but also your chronic pain, poor sleep and depression. Start with five minutes of aerobic exercise daily (e.g. walking, biking, running, elliptical, treadmill) and increase the duration by an additional two-to-three minutes each month up to a maximum of 25 minutes daily. If you have a heart or lung condition, consult your doctor first. Listen to your body and plan to take a 20-minute time-out every few hours to help you get through your day. Work with your doctor to find a treatment for your fatigue by identifiying a specific cause that may be adding to your symptoms. The possibilities may include systemic inflammation, poor sleep, fibromyalgia, depression, hypothyroidism, muscle inflammation or side-effects of medications. Share with us below what you’ve found the most helpful when managing your Sjögren’s fatigue. We hope you find this collection of SSF Patient Education Sheets helpful. Especially during the busy holiday season, it’s important to make sure you listen to your body and do not neglect your health. And when finishing your on-line shopping this Holiday season, remember to "Shop for Sjögren's!" Shopping on-line is now an easy way to contribute to Sjögren's! The Sjögren's Syndrome Foundation has partnered with on-line retailers who will donate a portion of the value of your purchase to the SSF. This year, purchase all of your holiday gifts, while also giving back to Sjögren's.